Philips Fidelio S2 review | What Hi-Fi? 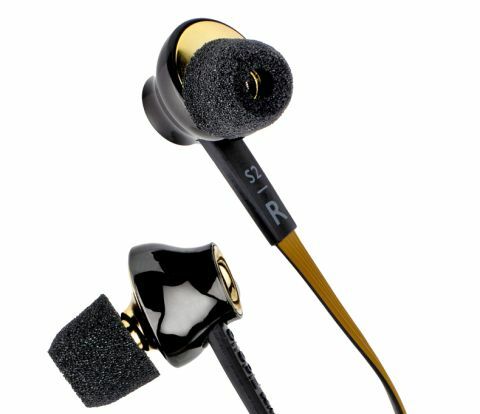 Making your new in-ears standout in an flood of similarly sized and shaped in-ears must be a tricky business, which is presumably why Philips has gone with gold flourishes on its otherwise black plastic new S2s, the first in-ears to carry the Fidelio name. The gold isn’t to our taste, truth be told, but we can see some people appreciating the air of ostentatiousness. The brown underside of the flat cables? Not so much. Those flat cables help reduce tangles, though, and there are a few other thoughtful touches: a one-button remote and mic at chin-height on the left-hand cable; a little cable tie to reduce flapping and movement noise being carried up to your ears; a compact and strong little carrying pouch and a whole bunch of earbuds, including a pair of Comply tips. And yet, despite this selection of buds, we find getting a decent fit with the S2s to be a real challenge. The buds don’t seem to go deep enough, and just as we are about to create the necessary seal with the Complys, they become too loose, too soon; a major issue for a pair of headphones that are clearly designed for portable use. You will have the right fit when you hear some pretty deep bass. Play Lorde’s Royals and the low bassline rumbles, while the attitude-soaked vocals are pumped directly to your ears. Those vocals are bit further forward than is strictly correct – with instruments taking more of a backseat – but if you’re someone for whom the lyrics matter most, you won’t find that a cause for complaint. Attack and rhythmic precision is generally strong with the S2s, and there will rarely be a dull moment in your portable listening. But at the extremes of the frequency range there are slight, and contrasting, issues in the form of hardness in the treble and softness in that bass. That can leave some tracks sounding a bit rough while other, bass-heavy songs lose a little impact. Simply put, they don’t get the sort of balance required for music on the move as a rival such as the Sony MDR-EX650, which may not be quite as punchy but provide a more consistent and even delivery. And that’s really the problem for the Philips. They’re fine if you’re listening at home to higher resolution bitrates, but we suspect that’s precisely the opposite of what most people will expect a pair of in-ears to excel at. Assuming we’re right in our presumption, your money would be better spent elsewhere.